One of the things I really miss since I started working again is the free time I had with my family. 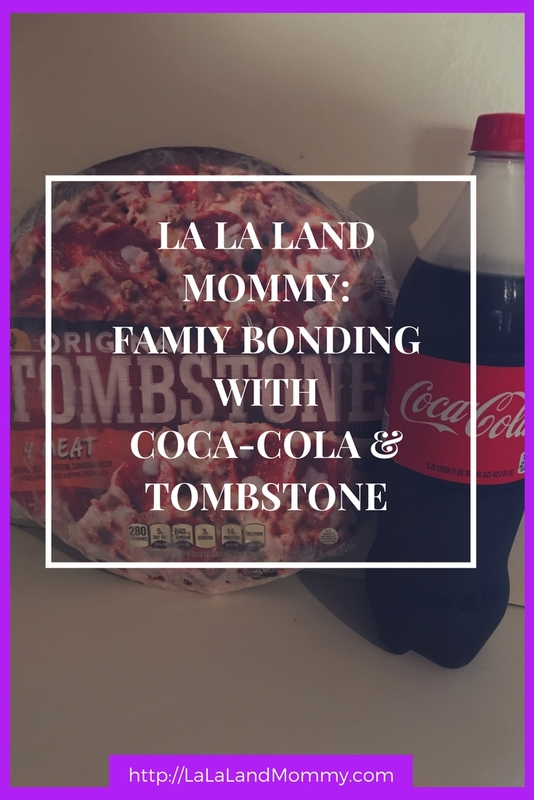 As a stay at home mom I enjoyed the time I had with my family. We were able to bond more. Now that I am working again I appreciate that time even more. Especially at dinner time. We get to really enjoy time with each other on the weekend neither I or the husband have to work. So we are all together. To spend time as a family we do a number of things. We will go for a drive, go hiking, catch a movie, go to the park, and sometimes just sit and enjoy each other ‘s company. One of our favorite things to do is to have dinner and a movie. When we watch a movie we either have the normal snacks like popcorn or we order some pizza. But this time we decided to do something different. For a great movie night you need basically three things. Great people to watch the movie with. We had the movie and the people. We jut needed the food. 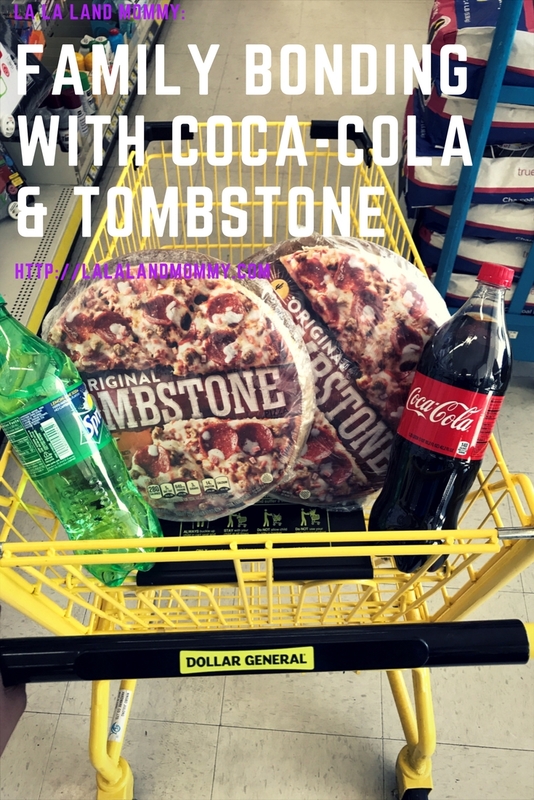 Instead of ordering pizza like we usually to do which can cost up to $20 or a little more we headed to our local Dollar General to pick up some Coca-Cola™ and some Tombstone pizza. Cause sometimes you just don’t feel like waiting 45 minutes for your food. With Dollar General’s great prices you are able to get deals on many things. 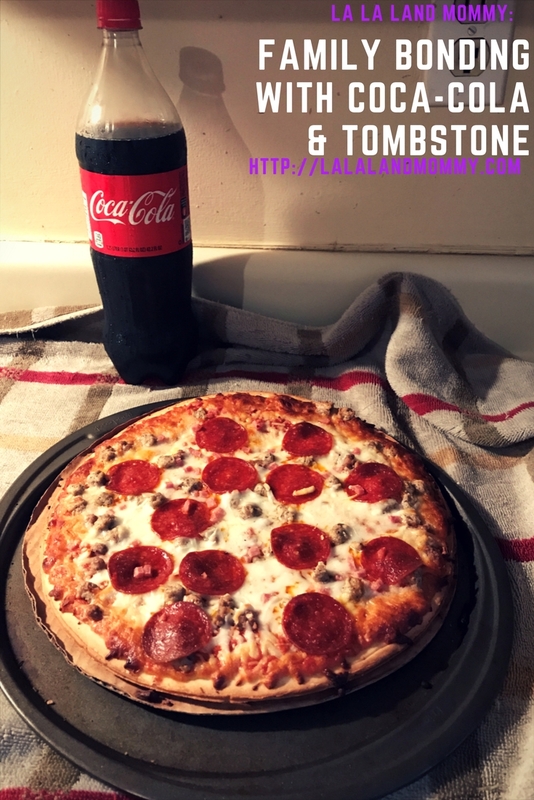 Like Coca-Cola and Tombstone Pizza. You can get a whole meal for under $5. We entered the store and headed for the soda aisle to pick up our favorite Coca-Cola products. We chose to get Coca-Cola and Sprite. Then we went and chose our pizza. We chose 4 meat. Once we got our items we headed to the register. I used a $1 off coupon that I came across. 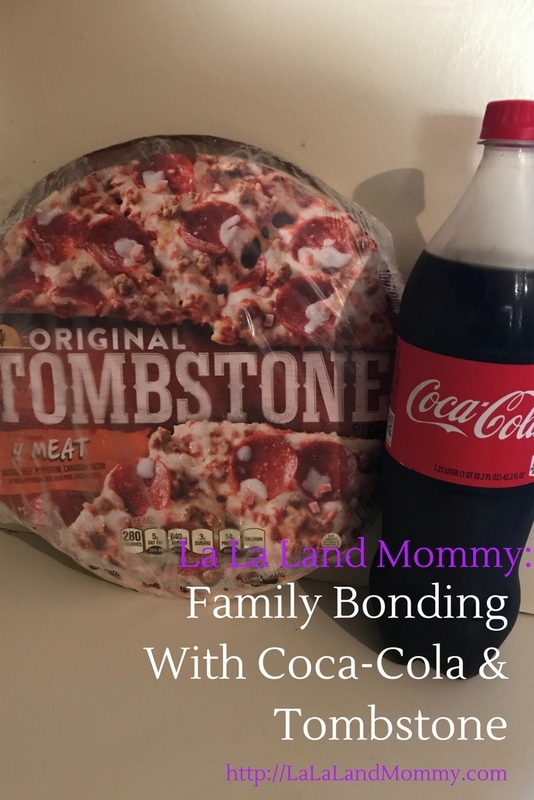 This coupon offered me $1 off the purchase of a Tombstone pizza and a 1.25 liter bottle of Coca-Cola. Once we made our purchases we headed home. Once we got home we got together as a family to prepare our meal that took less than 20 minutes to cook. Tyler put in the pizza, Nishe put the movie on, and I prepared our drinks. 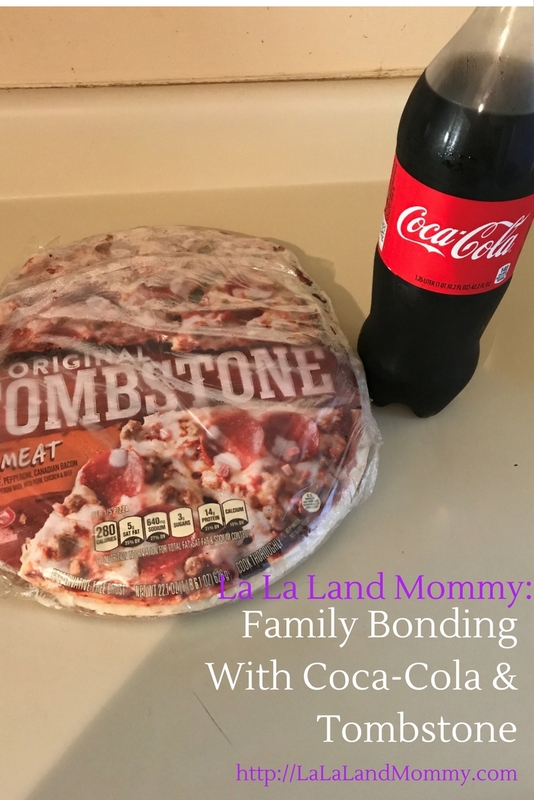 After the pizza was ready The Husband sliced it and we were all ready for a great movie night. Preparing a meal together offers us time to bond as a family. 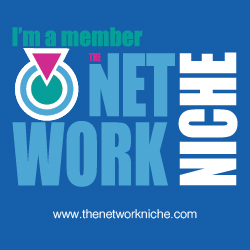 We get to catch u on the events of the day and spend time together.